Sifu Gamel Spencer Sr is an up and coming actor/ director/ producer, fight choreographer, and basketball and fighting coach. United States Heads of Family Hall of Honors. He has trained more than 1,000 students in his martial arts career, and has fought professionally on the kickboxing and mixed martial arts circuit. He studies at the Shaolin Temple in China and has been taught by some of the best martial arts teachers in the world, which include Sigung William Cheung and Kaicho ShunJi Wantanabe. Sifu Spencer has guided several students and adults to numerous martial arts tournament championship. 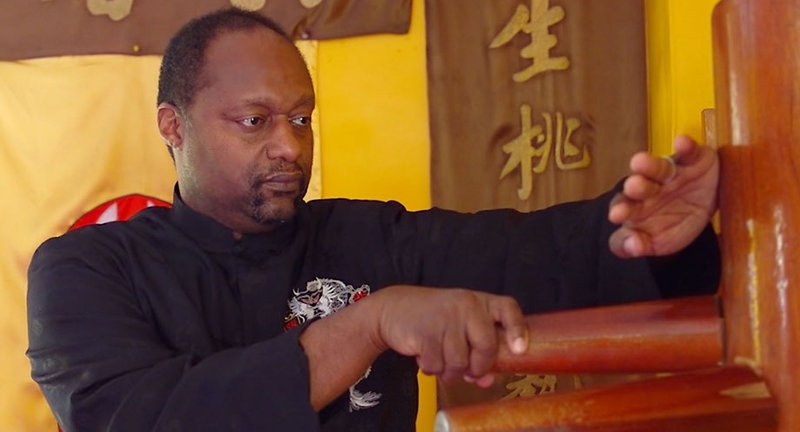 Sifu Gamel Spencer Sr. is a dedicated father and husband and is very grounded in his Christian faith, attends Spirit of Faith Christian Center, where he also teaches martial arts. Gamel Spencer Sr is a former basketball player and has his bachelor of arts degree in sociology from the University of Maryland, Baltimore County. He is also a former Maryland State police officer. The Global Wing Chun Kung Fu and Karate Academy of Maryland opened in 2002 with the full blessings and guidance under my Sifu Grandmaster William Cheung and my Sensei Kaicho Shihan Wantanabe. We are one of the few schools certified by the Shaolin Temple in China, where we also train. This training academy provides effective, sensible, and reliable instructions on martial arts self defense techniques. We emphasize practical, easy to learn techniques that can be executed without a great amount of force. We cover techniques for long, medium, and short ranges, as well as ground fighting techniques. Our students receive instruction on the location and function of internal meridians and pressure points, which can be both used for self-defense and healing purposes. We emphasize hard work and serious training within a fun and comfortable atmosphere. Sifu Spencer's knowledge of both kung fu and karate systems allow him to provide his students with effective defensive and offensive techniques that are capable of addressing any type of attack or other situations. We focus on the quality of our martial arts classes as well as your unique and individual needs. Our martial arts training is suitable for all ages and sizes. We emphasize the development of discipline, defensive skills, confidence, stamina, and determination. Contact us if you are truly ready to learn. Tell us why you are interested.